The tunnels from Farringdon to Royal Oak were bored by Ada and Phyllis. These TBMs were named after Ada Lovelace, the world’s first computer programmer, and Phyllis Pearsall, who created the London A-Z. While tunnelling from Paddington to Farringdon, TBM Ada came within 90cm of live Northern line platforms at Tottenham Court Road and within 60cm of passenger escalators, but passed through safely. The western tunnel drive, between Royal Oak and Farringdon, was the first of five drives required to construct the Crossrail tunnelled section. It is the point at which the existing Network Rail services on the western section of the route will enter the tunnels under central London. 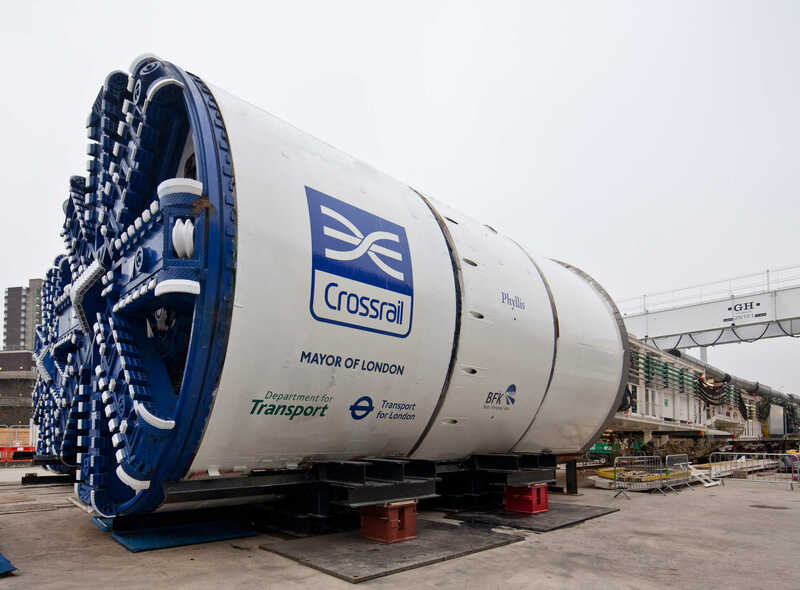 Parts of Crossrail’s two tunnel boring machines, Phyllis and Ada, began arriving in London in late 2011 and assembly of the two giant machines got underway at the Western Tunnels logistics site in Westbourne Park. 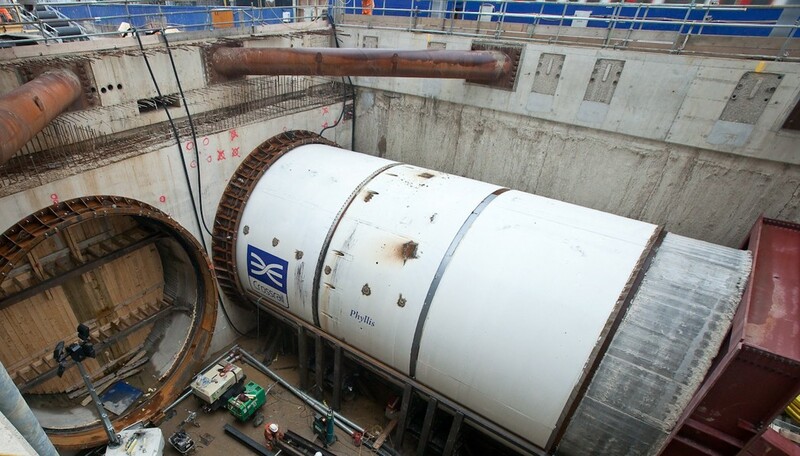 The two machines began tunnelling from the Royal Oak Portal towards Farringdon in May and August 2012 respectively, constructing 6.8 km of new tunnels beneath the busy streets of London’s West End. The western tunnel drives were the second longest on the Crossrail project. The tunnelling machines passed successfully underneath the Network Rail tracks west of Paddington Station en route to the Crossrail station sites at Paddington, Bond Street, Tottenham Court Road, and on to Farringdon. 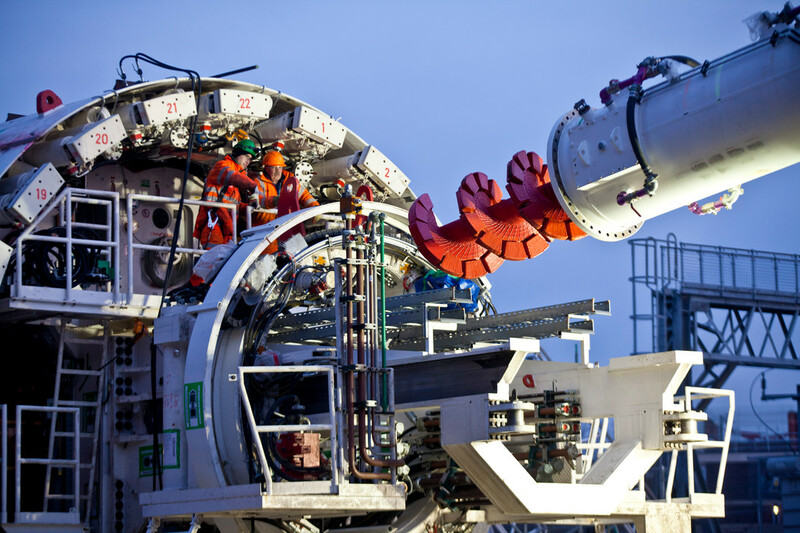 Phyllis was the first Crossrail tunnelling machine to break ground on the project and also the first machine to complete her drive, arriving in Farringdon in October 2013. She was joined in Farringdon by sister machine Ada, who completed her journey in January 2014. Upon completion of their drives, Phyllis and Ada were dismantled and their 130 metre long trailer systems removed from the tunnel via the Fisher Street shaft, leaving just the front “can” and cutterhead in situ – 30 metres below ground in Farringdon.